Arizona is filled with natural beauty and wide assortment of attractions to visit. However, the southwestern region state often gets the short end of the stick when it comes to their rep. After all, most people only think about the sunshine, heat, and desert when they think of the Arizona. Although the Copper State has hot summers and crazy political figures, here are 5 reasons you’ll love to visit Arizona. Yes, the state has plenty of desert areas. However, you’d be surprised at just how beautiful the desert can be. For instance, look at the Sonoran Desert; it is the only place on the planet the Saguaro Cactus grows, but there is more than just sand to look at. In fact, the state is home to both the Grand Canyon, which is one of the Seven Natural Wonders of the World; and the snow capped peaks of Humphreys Peak, which stands over 12,000 feet tall. Whether you want to float down the Salt River, go skiing in Flagstaff, or golfing at one of their countless world famous golf courses; Arizona is an outdoor vacation lovers’ dream. Arizona is blessed with various aspects of the Native American culture. 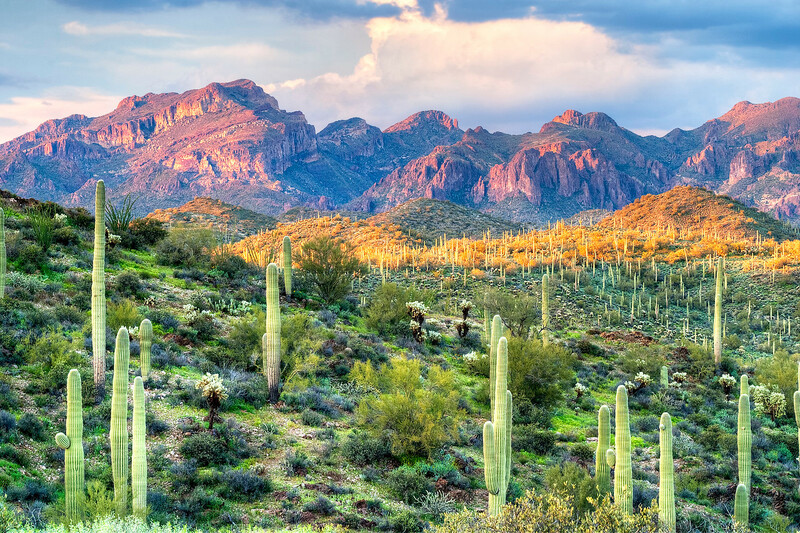 Whether you’re looking for museums, villages, or natural wonders; Arizona has it all. Throughout the state, Arizona has plenty of places you can visit to get a taste of the old Wild West. However, none top the cake like Tombstone. This historical location was once home to the legendary Wyatt Earp.